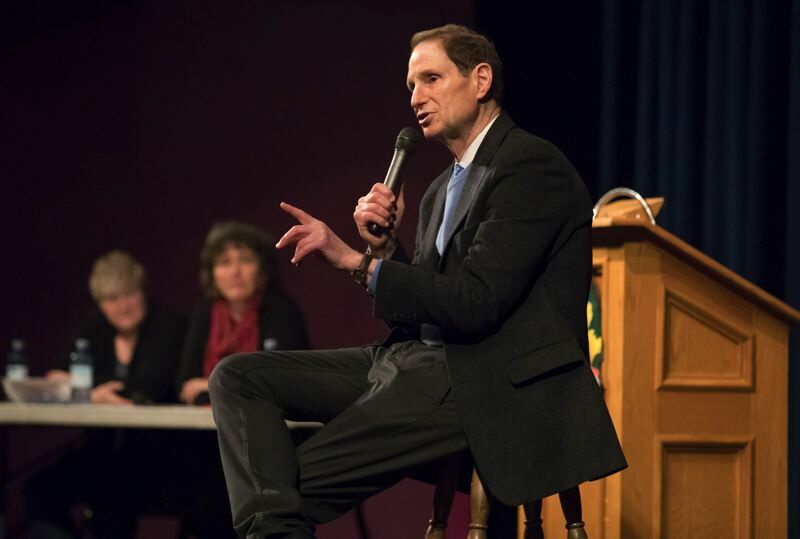 Congress has cut funding to the Children's Health Insurance Program; Sen. Ron Wyden vows to fight for funding to allow the program to continue. This year has seen no shortage of lowered expectations, bad precedents and head-slapping decisions from so-called leaders in Washington, D.C. But in my view, Congress descended to a new low over 60 days ago when it earned the dubious distinction of failing to pass on-time funding for the Children's Health Insurance Program (CHIP) for the first time since its creation two decades ago. CHIP was created in 1997 based on a simple concept: no child, regardless of their income, family status or geography should go without quality, affordable health care. It's meant to serve families who make too much to qualify for Medicaid, but also don't have access to affordable health care through their employer. CHIP covers all kinds of essential health care for children, from preventative services, to dental checkups, to treatment for serious illnesses. In Oregon, that means peace of mind for over 80,000 children and their families — peace of mind from huge medical bills, from painful late-night conversations about how to care for a sick child and from facing unexpected emergencies with nowhere to turn. Unfortunately, that peace of mind is in jeopardy. States like Oregon have had to stretch their CHIP programs to the breaking point to keep children covered and prevent termination notices from going out just before the holidays. Our state is one of the first in line to run out of funding, ironically because we've done such a good job getting kids covered. The lack of action isn't because nobody knows what the future of CHIP should look like. All the way back in September, I wrote a bipartisan bill with my counterpart leading the Senate Finance Committee, Chairman Orrin Hatch (R-Utah), that extends CHIP funding for five years. Since then, the Finance Committee reported out that agreement with a strong bipartisan vote. The House of Representatives passed its own version along mostly party lines due to a pointless and partisan food fight over how to pay for the funding extension. Senate Republican leaders haven't seen fit to put CHIP on the Senate calendar amidst a rush to appoint as many ideologically-charged nominees to the judicial branch as possible and their misguided, partisan push to pass corporate tax cuts that leave middle-class families behind. Now that the holidays are just days away, CHIP has been lumped into an ever-growing list of competing priorities that need to be resolved by the end of the year, not the least of which is keeping the government open. Republicans in the House of Representatives have offered a short-term fix that won't give Oregon the certainty it needs. That's fraught political terrain for America's children, and it's a shame Congress couldn't find the time to get the job done despite knowing the deadline far in advance. Luckily no states have been forced to shutter their CHIP programs yet. But every day that passes without passing the bipartisan bill I authored is another day closer to this key lifeline for Oregon's kids becoming another casualty of this hardline, ideological Republican Congress. This past weekend at my 79th and 80th town halls of the year, I heard one message loud and clear: Oregonians want solutions, not standoffs, to real problems. Simply put, CHIP has demonstrated it's a successful solution to the key challenge of keeping children healthy and it must be extended. I'll be working every day to make this right and secure lasting peace of mind for the children and families in Oregon and around the country who count on CHIP.